Sleek lines, understated elegance, and warm functionality are the key elements in Scandinavian design and architecture. Utilizing natural light and neutral color palettes gives a warming essence to illuminate interiors in even the coldest climates. In a region where winters are long, and daylight can be scarce, we often see a luminous glow of bright whites in Scandinavian homes. It is common for it to be a bit darker and less spacious in Nordic countries, so their design and architecture have a tendency to create environments aiming to be airy, cozy, and maximize the number of windows and skylights in each space. 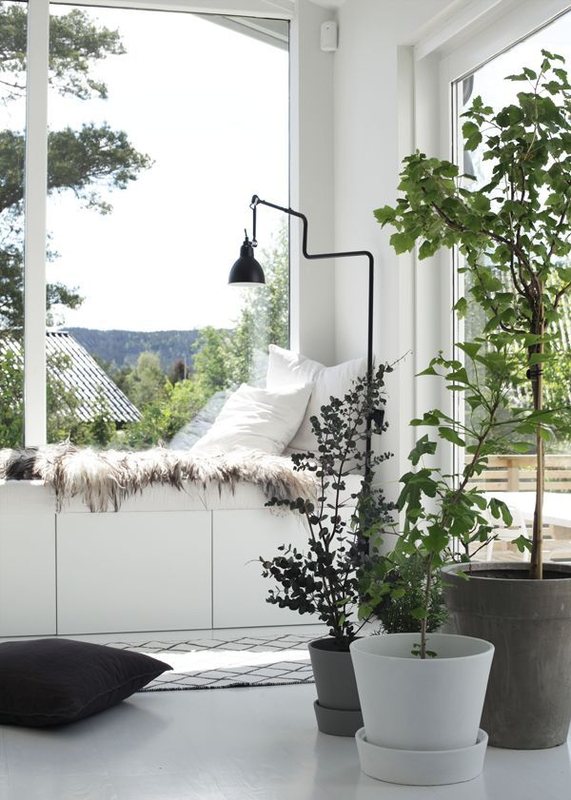 Adding accents like house plants, furs, area rugs, and plentiful pillows and blankets gives modern Scandinavian homes a warmly inviting appeal. We adore our selections from these elegant modern homes, notice the hints of color that bring out the bright whites and give such a sense of openness! Have you traveled to Denmark, Finland, Iceland, Sweden, or Norway? Link us to cozy and elegant homes and hotels you have visited in Scandinavia! We featured Copenhagen as one of the most romantic cities in the world, check it out here!